Note: Even though the reporter is not identified in this form, Police & Public Safety will use the information provided to investigate the reported conduct to the extent possible. Directions: The person filling out this form will either print the completed form, place it in an addressed (UNC Charlotte PPS Sgt. 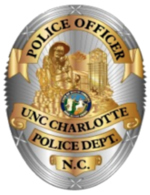 Sarah Smyre) sealed envelope, and place it in the University Mail Service or send the form electronically via the email link on the UNC Charlotte PPS Clery Blind Report form page. If you checked the box labeled as other in the above listed options, please specify in the space provided.